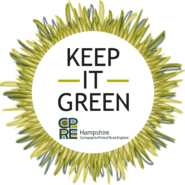 Want to help protect our Hampshire countryside? Get your voice heard! Snap Marketing has been working on an integrated advertising and social media marketing campaign with CPRE to increase awareness to the threat of loss of rural environment to development. It’s a little-known fact that a vast amount of the South Hampshire countryside is completely unprotected. As the Solent towns and cities rapidly grow outwards, our most valued green spaces could soon be gone forever. We all love the rolling landscapes, the wildlife, and the quiet tranquillity offered by the nature on our doorsteps, but it is at risk. We need to act soon to put in place a mechanism of protection for the last of our countryside gaps and green spaces. At Snap, we are passionate about our countryside, if you want to get involved too, and get your voice heard, follow this link and sign the petition.